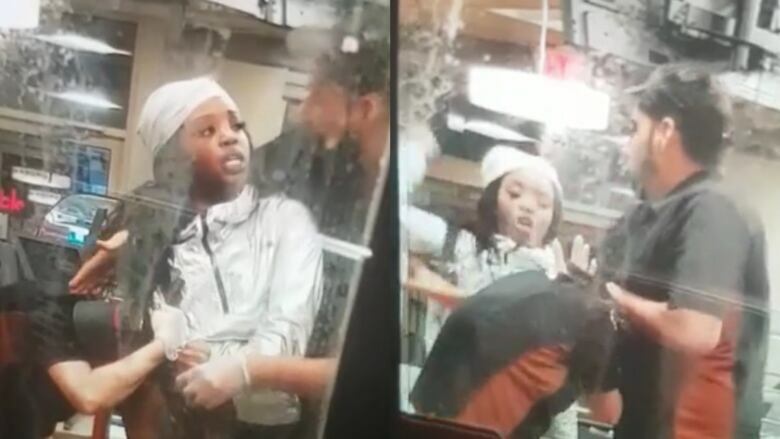 Peel police are trying to identify a woman wanted in connection with an assault investigation at a Tim Hortons in Brampton on Sunday. Officers say they were called to the coffee shop near McVean Drive and Castlemore Road, shortly before 1 a.m. for reports of a woman who attacked employees. The suspect entered through the drive-thru window after staff had closed for the night and started assaulting an employee, police say. In a video posted to Facebook, a woman can be seen grabbing a staff member's hair and throwing punches while another employee attempts to stop her. Emergency crews say employees had minor injuries and were assessed by paramedics at the scene but were not taken to hospital. Police are encouraging the woman to speak to a lawyer and make arrangements to turn herself in.